chop or slice peaches on a cutting board. Ripe peaches can be cut with a plastic knife. Run the blender, make sure the lid is on tightly. 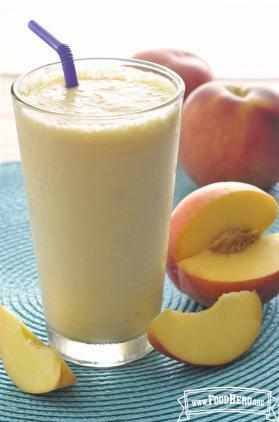 1 Comments for "Peach Cooler"
Had a light and airy flavor. Thinner than a typical smoothie but was very refreshing!